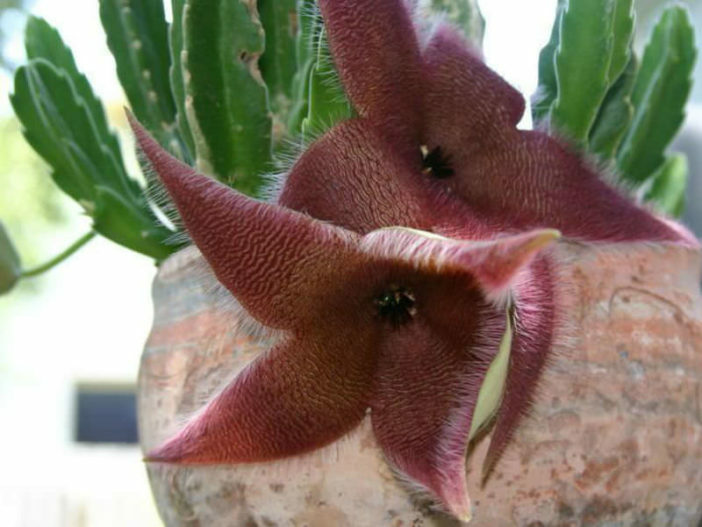 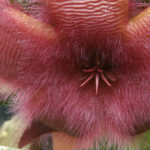 Stapelia grandiflora is a tufted creeping or procumbent cactus-like plant that trail and hang down over the pot. 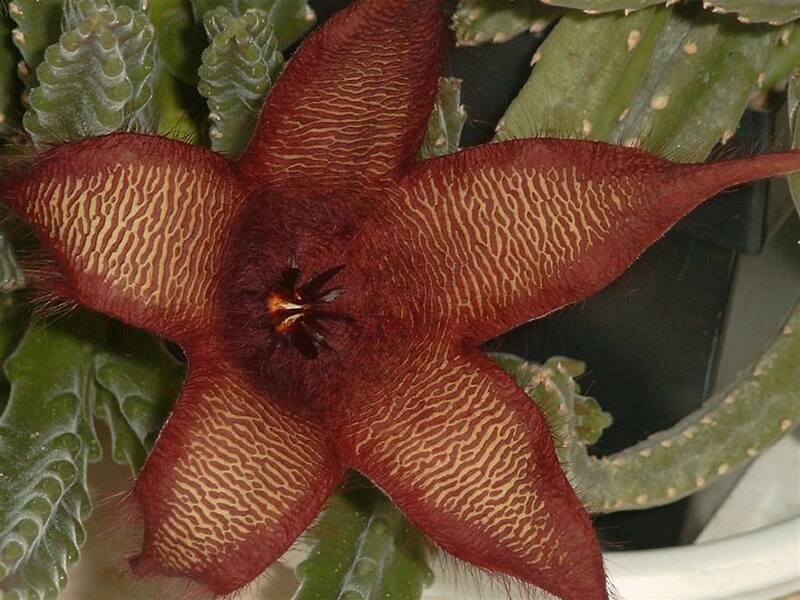 It can form large clusters up to 20 inches (50 cm) in diameter (or more). 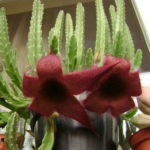 The stem is up to 4 inches (10 cm) tall, pale green or reddish and slightly furrowed with upright hooks along the ridges. 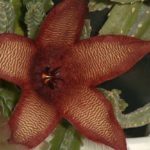 The flowers are large and showy star-fish shaped, intermittently produced throughout the late summer and autumn, and up to 6 inches (15 cm) across. 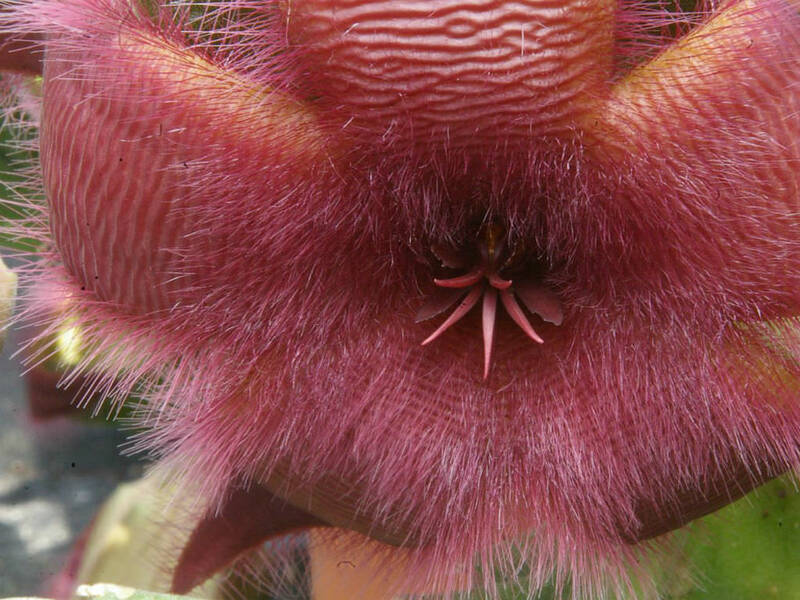 The fruits are typical twin seed horns (follicles), which are decorative in themselves and often don’t appear until a year later. 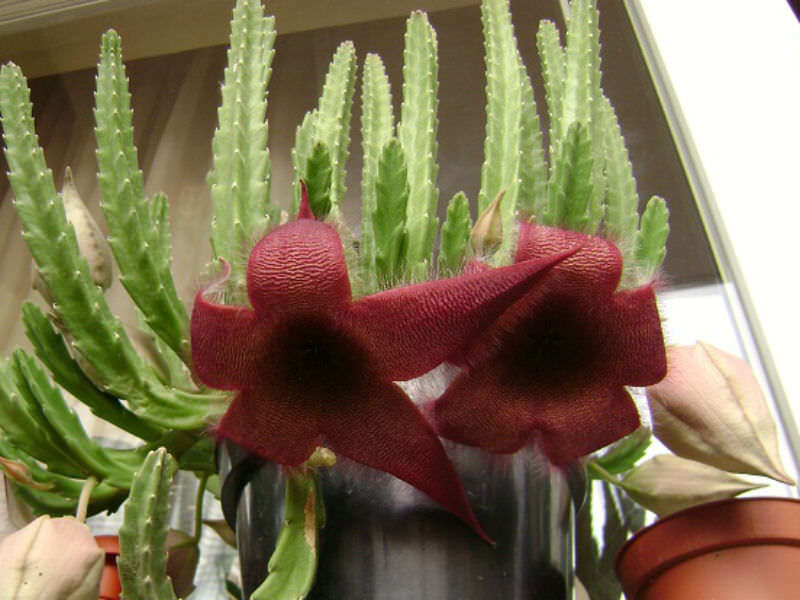 Native to South Africa (Northern Cape, Eastern Cape and Free State).